As I’ve said before, I’m always looking for ways to develop a better memory. A couple years ago, a copy of The Memory Book fell into my lap (only to be lost in one of my many moves). This work contained some cool theories and tricks. The ones that stands out the most in my mind are the associative, memory-linking tricks. When talking about memory, associative just means connecting one memory to another through some sensory/spatial detail. When I say ‘pocket watch,’ you probably form some image in your mind. If you continue to think about pocket watches, you might find some other memory, maybe of someone who carried one, or of a watch store. To have a better memory, you need to make the most of our mind’s tendency to make these mental associations. Look at it like this: if climbing to the top of a rock is retrieving a memory, then associations are like hand holds cut into the rock. 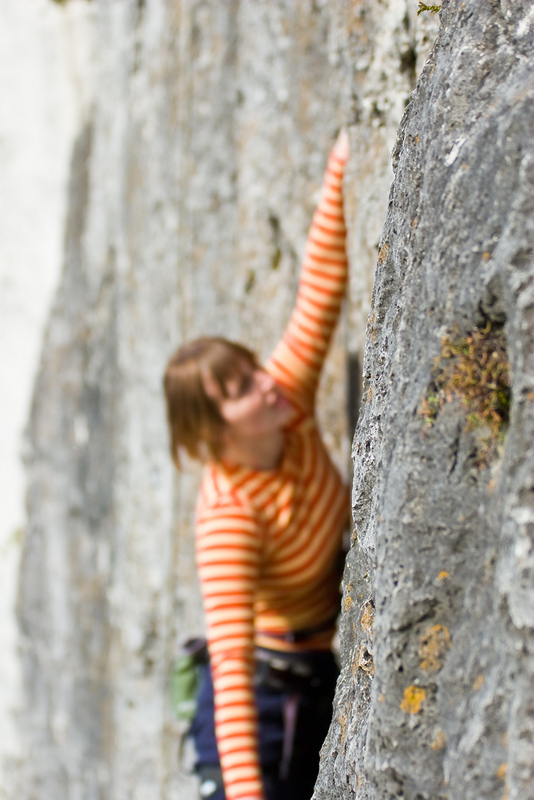 You can still reach the top, but using the hand holds make this climb far easier. We can have a better memory using association and associative techniques. But first, some theory. What does memory assimilation mean? In my unscientific, layman’s opinion, the sensory data becomes integrated with information that was already present. What does this theory tell us about memory? Memories are like links in a chain, and each link is connected through association to another link. Example: when you listen to a record you haven’t heard for a while, you probably remember some obscure event that happened long ago when you used to listen to the record. Same for smells. Textures. Tastes. Knowing this, you can consciously use association to improve synthesis and storage of new information as well as recall of old information. If you don’t know where you’ve been, how can you know where you’re going? –Source forgotten for the sake of irony. Let’s start with a way to retrieve sensory information you’ve already processed but can’t seem to remember. For me, the best way to do this is to use a series of landmarks. –I was x years old, in my x year at uni, taking… a political science class on the fourth floor of Smith Hall. We were reading Development as Freedom. I read it at home while sitting in an ugly green leather chair. That ugly green chair sat in a living room with cracked orange walls. I’ve only lived in one orange-walled house, so I know I lived at xxxx Buffington Avenue. For each step, I had to connect one piece of information to the next using some clear mental image or bit of sensory data. I could’ve taken any number of routes to arrive at this same piece of information, but that was the easiest for me. When you learn something new, or have some vital new piece of information you need to remember, look for ways to connect it with some pre-existing memory sensory data. A practical application (and admittedly common example) of this is remembering names. Associating a new person’s name with someone you already know. If you’re meeting a John, associate that person’s face with another John you know. Associate their name with some striking physical feature. The more ridiculous and exaggerated, the better. You can use association in other ways as well. The Greeks swore by the Method of Loci for organizing new knowledge, but I haven’t yet made a serious effort at learning this technique. Finally, none of this is to suggest that you should keep everything in your head. Quite the contrary; having an external brain like a (knock-off) Moleskine will increase your memory by 1,453,532%, and using clever tricks like calendar reminders will ensure you won’t forget things like birthdays and review dates. Developing a better memory through association is just one more creative technique you can use to help you on your quest to create something amazing. Good luck.